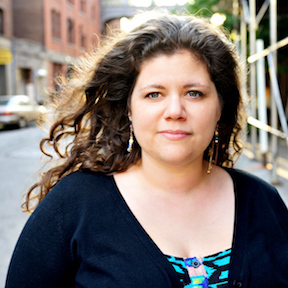 Rainbow Rowell is the author of novels Attachments and Landline. She also writes young adult novels, including Eleanor & Park, Fangirl, and Carry On. Eleanor & Park topped the New York Times Bestseller list. Both Eleanor & Park and Fangirl were named by the New York Times as the best young adult fiction of the year (2013). Dreamwork’s has optioned the book for a feature film and she is writing the screenplay. Rowell was born on February 24, 1973, in Nebraska. She worked as a columnist and ad copywriter for the Omaha World-Herald. She then worked for an ad agency and began writing her first novel, Attachments, as a hobby. When it was published in 2011, Kirkus Reviews included it as one of the outstanding debuts that year. She is a member of The Church of Jesus Christ of Latter-day Saints. She lives in Nebraska with her husband and two sons. This page was last edited on 29 October 2016, at 14:15.